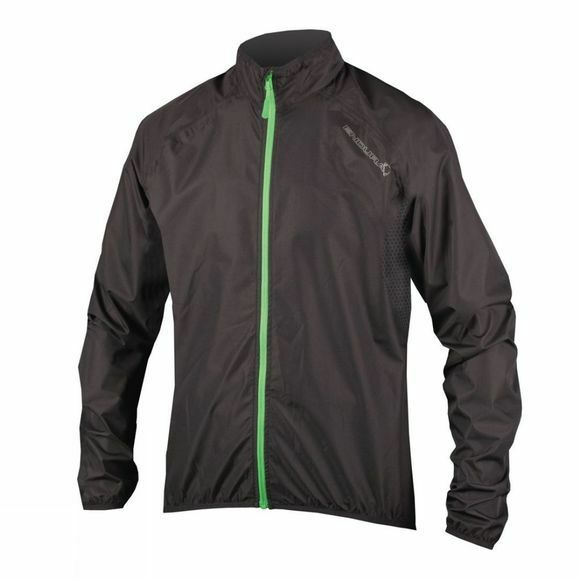 This Xtract Jacket by Endura is lightweight, waterproof and made with a ripstop fabric that stays breathable. Elasticated cuffs, neck and hem keep warmth in whilst centre back mesh vents keep you dry and comfortable. Reflective trims on separate areas provide visibility on the road, whilst the convenient security pocket and accompanying stuff sack are handy benefits.